Green Park Market has been one of the lesser-known markets, despite it being centrally located. Some might cite the rise of Hauz Khas Village as a reason, whereas we’d like to think that the whole area is brimming with local marketplaces such as SDA Market, Hauz Khas Market and Aurobindo Place, to name a few. Besides the ever famous Evergreen Sweet House or the several other fast food franchises such as Dominos or Pizza Hut, the market has some pretty decent street food options to gorge on. And unlike most other marketplaces, it’s never too crowded or sparse but fun for hanging out, whenever one is around! If you’ve been in Delhi for some time now, you know whenever you want to have some Bhel Puri, South Ex market is the place to be. 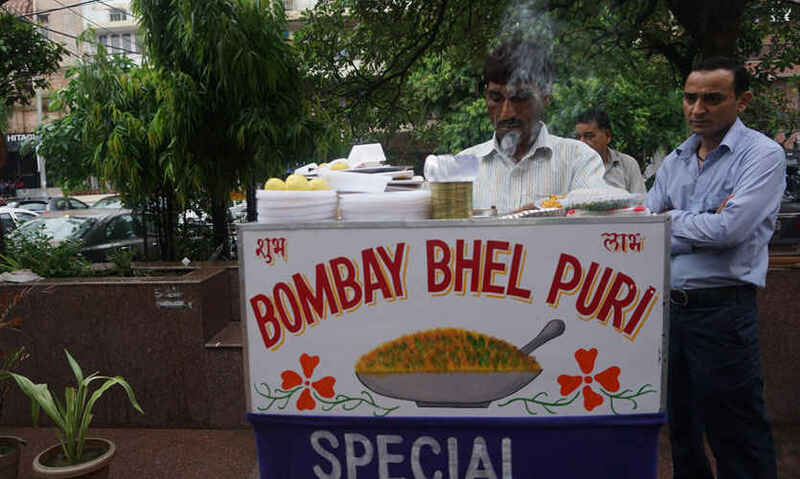 Which is why we were so pleasantly surprised when we had our favourite desi snack right here in Green Park Market, and it tasted just as good and lip-smacking as its South Ex market counterpart. The bhaiya serves a very full plate with loads of onions and bhel and overloaded with sev. 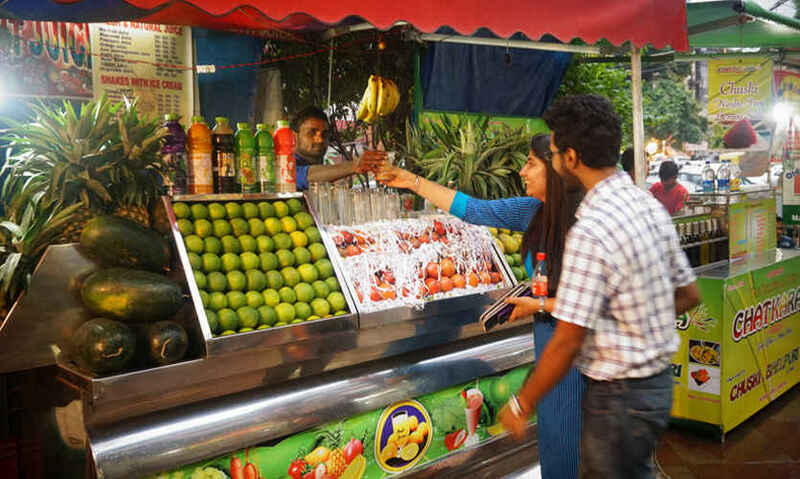 Just like any other market, Green Park Market too has a modest juice corner that serves up refreshing, fresh juices you can glug down, and the best part is that it’s the perfect alternative to aerated beverages. We tried the Mosambi juice or Sweet Lemon Juice. We wouldn’t call it extraordinarily amazing or anything, but one thing that can be said is that the fruits are so fresh that you can feel the rejuvenating taste of each fruit even in their Mixed Fruit Juice. Nutritious and tasty, bowlfuls of sweet corn are always golden pieces of delight, which are so light that there’s always space for them! 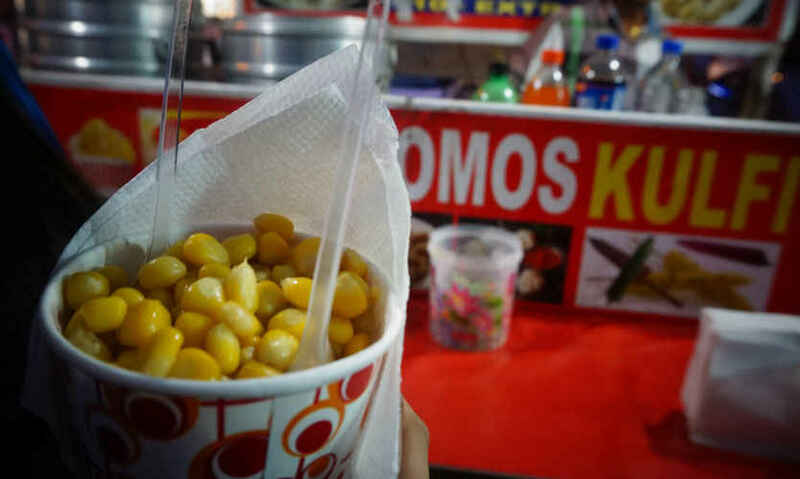 Served here in the market with little twists like the Mexicana Corn, or Cheese Corn or Masala Corn, or even your original sweet corn - these make for the perfect shopping partner. The gentleman selling these also sells kulfi, in case you decide to beat the heat. Saving the best for last, we had Paneer Tikka from this small shady joint also selling Soya Chaap, Mushroom Tikka and a few other vegetarian dishes. 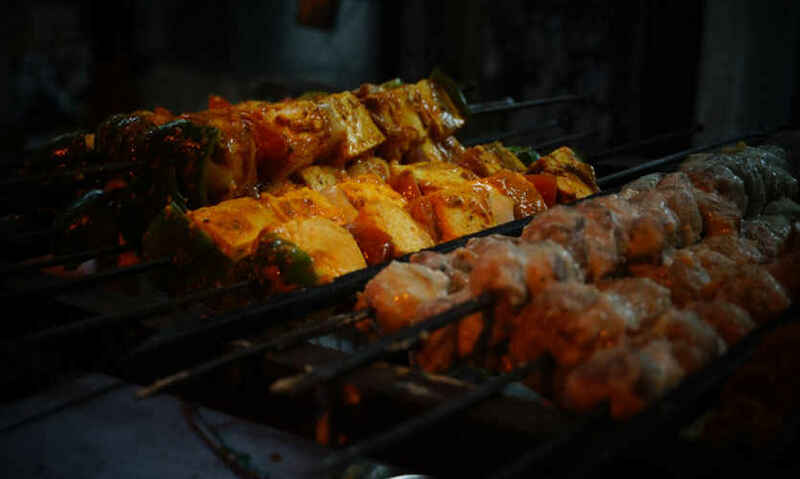 Believing in not judging a book by its cover, we went ahead and ordered one plate of Paneer Tikka, and the moment we took our first bite, we knew we were in for a treat! Must have, for whenever you visit Green Park Market next. There’s hardly any Delhiite who hasn’t gotten teary-eyed while having one of these with a little too much of that fiery chilli garlic chutney! 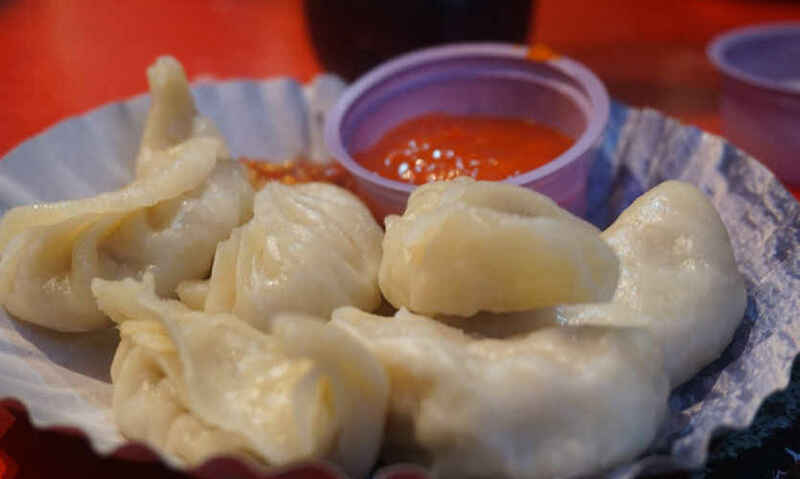 However, lately, we felt that the original taste of them momos was fading out. All this was before we had a plate at the Green Park Market! The dough felt so soft and thin and tender and oh God, the chicken stuffing was even better with adequate quantity of chicken. The one we had was at a stall called Classic Foods.